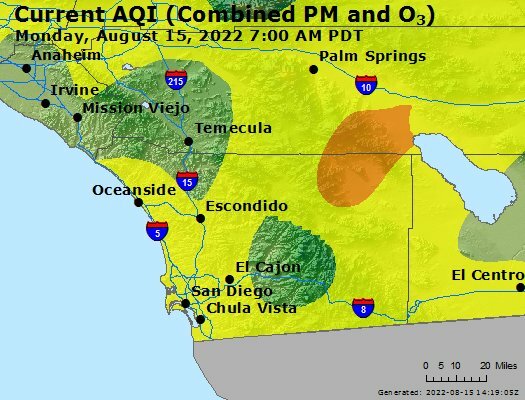 The AQI or Air Quality Index (color coded, as it appears below) is the tool most used for reporting the daily status of our air quality in the County. It tells us of the air's condition and how polluted it might be, the associated health effects, if any, and, whether there might be cause for concern. The AQI focuses on health effects you may experience within a few hours or days after breathing polluted air.